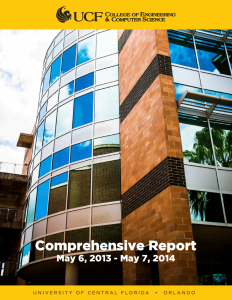 UCF College of Engineering & Computer Science facts, news and faculty publications covering the reporting period May 8, 2014 to May 9, 2015. UCF College of Engineering & Computer Science facts, news and faculty publications covering the reporting period May 6, 2013 to May 7, 2014. © University of Central Florida.